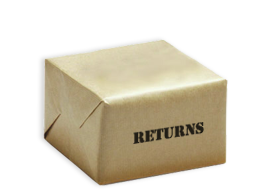 Unopened items in original packaging returned with a receipt within 30 days of purchase will receive a refund to the original method of payment or will receive an exchange. Items that are opened, damaged and/or not in resalable condition may not be eligible for a refund or exchange. All returned items are subject to a 20% restocking fee and the original shipping fee to the buyer. Products can be returned to our Milton store or may be shipped to us. Please note return shipping is not covered. Exchanges are handled in the same manner as product returns. To exchange a product, simply bring it to our store within 30 days, in its original condition and packaging, with your receipt.